Welcome to the official website of the 6th International Conference on Enterprise Systems. Enterprise Systems (ES), also referred to as Enterprise Information Systems, has become increasingly popular over the last 20 years because it integrates and extends business processes across the boundaries of business functions and corporate walls, as well as country border lines. The International Conference on Enterprise Systems (ES) has been held every year since 2013. 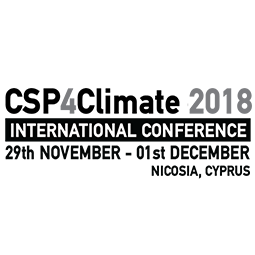 The Sixth in the series will be held at St Raphael Resort, Limassol, Cyprus, 01-02 October, 2018. The conference is hosted by the Department of Computer Science, University of Cyprus. This conference series is focusing on both the technical and application aspects of enterprise systems, the complex and cross-disciplinary problems of enterprise integration, and the new technological frontiers such as Industrial Integration, Industrial Information Integration, and Industry 4.0. The objectives of the conference are to provide high quality research and professional interactions for the advancement of science and technology. The main features of the conference include Keynote Speeches, Regular and Special Sessions, and the Industry Forum. Technical Committee on Enterprise Information Systems, and technically sponsored by IEEE Systems, Man, and Cybernetics Society.